We were pleased to be invited as Keep Our NHS Public to give oral evidence to the Commons Health & Social Care Committee (HSC) inquiry into Sustainability and Transformation Plan and Accountable Care Systems and Organisations on Tuesday 27 February 2018. Tony O’Sullivan (KONP) joined the panel including three participants in the Judicial Review for the NHS – Professor Allyson Pollock, Dr Colin Hutchinson (Doctors for the NHS) and Dr Graham Winyard. 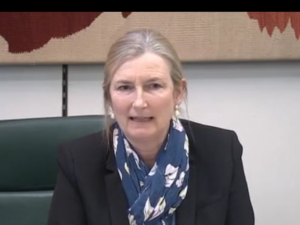 The Health & Social Care Committee is chaired by Dr Sarah Wollaston MP for Totnes. There are five Conservative MPs, five Labour and one Scottish National Party MP. Between our written submission and this first oral session, the Health Committee had altered the title of its inquiry, reflecting recent behind the scenes discussions: the new title is Integrated Care: organisations, partnerships and systems. This change in title reflects the intense pressure the Government and NHS England (NHSE) has come under to justify their plans to impose Accountable Care Organisations (ACOs) on the NHS despite the open acknowledgement that their intentions would be outside the law of the land as currently constituted in the disastrous Health & Social Care Act 2012 (H&SCA). As we have outlined, ACOs would disintegrate the NHS into 44-50 areas, managed by what would be non-NHS corporate bodies that would be open to tenders from the private sector. Jeremy Hunt (Secretary of State for Health & Social Care) and Simon Stevens (NHSE Chief Executive) have been confronted by the very strong challenge from the Judicial Review for the NHS. They have been forced to change tack. First, Hunt conceded the ACOs required a public consultation prior to imposition. Then he reluctantly conceded that he would not ‘lay down’ statutory (secondary) legislation. This would have bypassed the need for primary legislation and full parliamentary scrutiny and vote in order to amend the H&SCA, But he has now committed to wait for the outcome of the public consultation and the final report from the Health & Social Care Committee. These events were important background for an extraordinary encounter at the Health Select Committee. Do not discuss the NHS funding gap because the HSC has dealt with that (a key objective of STPs and ultimately ACOs are to drive through plans to adapt to the predicted £26bn deficit by 2021). HSC members put to our panel that Integrated Care Systems were an achievable ‘workaround‘ to the legal barriers presented by the Health & Social Care Act; that ICSs were benign and voluntary partnerships; and that if we were opposed to ISCs, surely that meant we were opposed to good practice integrated working. All the witnesses stated in professional manner that whilst integrated – or well-coordinated – joint working was essential, this predated Jeremy Hunt, Simon Stevens, STPs and was not a new idea. Nor was there evidence that it saved money. There is no legislative block to coordinated care, but in contrast the block came from funding cuts and poor workforce planning. We repeated to the HSC the stated NHS England policy to move STPs through accountable (renamed integrated) care systems en route to accountable care organisations. That the policy espoused by NHSE and Simon Stevens ends with plans to put out ACOs to tender, inviting bids including from the private sector, and that inherent in that policy was a conflict with current legislation. It was also pointed out that there was a huge risk of basing access to free health care on registered patient lists rather than geographical areas, which was the underpinning guarantee for protecting universal care. There was an attempt to restrict our answers to whether or not we were in favour of integrated working. When we repeatedly said that integrated, coordinated care for patients was clearly desirable but did not require the imposition of integrated/accountable care systems, we were painted as irrational. And of course there was no mention of NHSE’s new guidance (Refreshing NHS Plans for 2018/19) and the threat of imposed financial sanctions (withholding of transformation funds if a partner in an integrated system refused to accept unrealistic cost controls) – reference to the reality of the devastating NHS financial restrictions was off limits. By this strategy, the HSC attempted to deny all problems with ACOs and trap us into a corner. 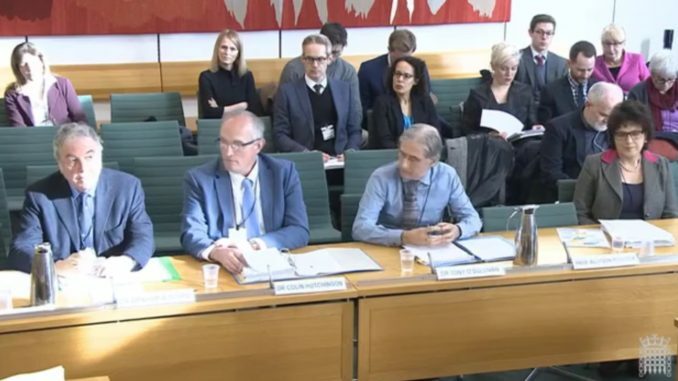 The committee heavyweights (incl Ben Bradshaw) attempted to assert that ACOs had not merely been postponed but would not happen – this however is not Government or NHSE policy. Members of the HSC had been on visits to specific sites of good practice in joint working (such as have always existed at various points in time). They set about trying to get our panel to agree to ‘set aside ACOs/ICS’ and embrace integrated systems. Why? Because ‘the place we went to the other day was so impressive and the staff were so enthusiastic’. Surely we could see that this was all about a bit of good old joint working, and integrated care systems are surely just the business? It’s a hung parliament, you know there is no chance of legislation on the NHS passing. Surely you see that we must have integrated care and systems to deliver better patient care, and we need a ‘work-around’ to bypass this legal deadlock. Repeatedly the facile (insulting to health professionals) question was asked whether we were in favour of professionals working together in integrated fashion or not. And if we agree that integrated working is good for patient care, then why are we wanting a change in the law? Allyson Pollock steadfastly refused to budge from the line that the organisation of the NHS must follow the law. Rosie Cooper, Labour MP for West Lancashire contributed her view that the language of ‘workarounds’ to bypass the law was more reminiscent of unacceptable practice. Second session: Dr Chaand Nagpaul BMA chair, Helga Pile (Deputy Head of Health, Unison) and Lara Carmona (Director of Strategy, Royal College of Nursing). All gave very good testimony. Thank you for this summary, Tony. I thoroughly agree with it. It was clear to me that the MPs with the exception of Rsie Cooper were living in ‘la la land’. I am also deeply appreciative of the professional manner inwhich all of you refused to been drawn into the farcical behaviour of most of the panel. Allyson Pollock was right to refuse to back down to the incredibly facile and ill-informed pressure and insist on the need for a proper legal framework to enable the kind of collaboration we all value so highly. I would add a couple of points. Mercer clearly had little grasp of the way in which his Government’s policies heaps pressure on and devalues staff. He then went on to suggest that campaigners are scaremongers when they express concerns about the Americanization of the NHS. He seemed incapable of understanding that the commercial dogma contained in the current legislation, especially the insistance on contracting, makes fears of Americanization perfectly understandable. He also needs to accept that the presence of businesses like Optum in the Lead Framework group gives rise to very justifiable fears of the direction of travel. I cannot envisage that they are a benign presence. He and the MP beside him also made some incredulous comments about privatization. I would suggest that the only reason why the NHS was not sold off in the same manner as say energy, is size. The NHS was too big to sell off like that. That is why we have creeping privatization. Mercer may be right that the NHS has not been taken over by private providers, but that is only because the process is still gathering pace. From what I have heard the majority of contracts are being won by private providers and the more than continues the less NHS provision will remain. some valuable contributions made but an underlying theme seems to be that “the best is the enemy of the good”. Thank goodness Allyson Pollock held her ground at the hearing. My view of Ben Bradshaw contribution at committee hearing was little more than disgraceful for a labour MP. I believe he is up to his neck with the private medical sector. So that may explain it. It is evident (and was forever thus) that there are ideological camps. Some are more tribal and aggressive (Johnny Mercer, Conservative), some hope to be more consensual and are more pleading (Sarah Wollaston, chair of HSC), some are more disappointing but predictably defensive/aggressive – where the shame associated with failed policy under Blair cannot be acknowledged, because that brings admission of fallibility with it (Ben Bradshaw) – thank goodness the current LP leadership has the courage to say past policy decisions were wrong and we need to commit to ‘never again’. Thank you for sharing this it’s so helpful to places where ACOs/ICSs are being pushed through like here in Cornwall. Cornwall council health scrutiny committee voted unanimously to go forward with ACOs although to call them something different as he public didn’t like the term. What was fascinating that people giving evidence and all the scrutiny committee members said that even bringing this new system in would not work unless there was increased funding. I am a Labour supporter and have just watched this on BBC Parliament I was so disappointed by what I heard from Ben Bradshaw I have written to him to ask for a response to Labour’s policy on commercialization.I thought all the Doctors on the panel, who obviously had years of experience, and Allyson Pollock were fantastic in their responses.